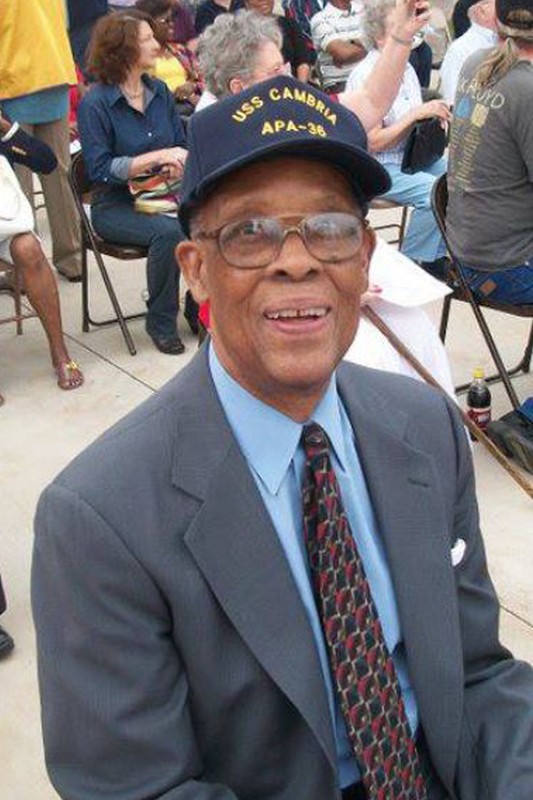 Reby Cary, Fort Worth’s first black school board trustee and a World War II veteran, died Friday night at the age of 98. 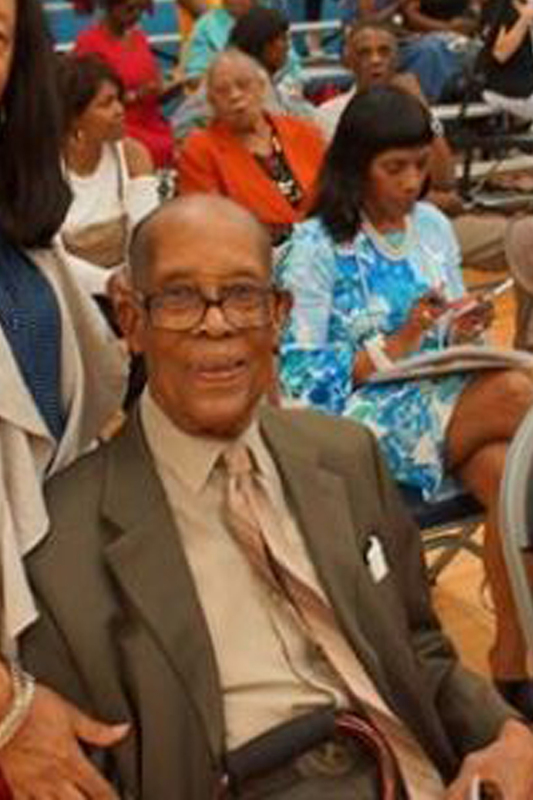 He leaves behind a legacy of political, cultural and educational achievements. “He was an activist from the heart, and he was not afraid,” said Cary’s long-time friend and former Star-Telegram columnist Bob Ray Sanders, who now works at the Fort Worth Metropolitan Black Chamber of Commerce. Cary was a man of many firsts. 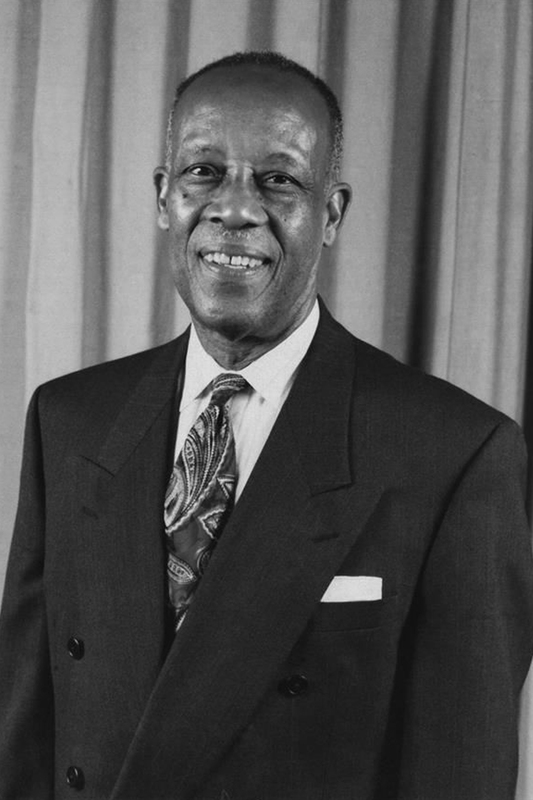 He was the first black man elected to the Fort Worth school board in 1974 and was elected to the state House of Representatives in 1979. Cary went to I.M. Terrell High School before attending Prairie View A&M University. He joined the Coast Guard and fought through five campaigns in World War II and was a very proud military man, Sanders said. Sanders pointed out that Cary died on the 77th anniversary of Pearl Harbor. Cary’s father, Smith Cary, established Rising Star Baptist Church in Fort Worth and Cary grew up in the church, listening to sermons and services that started in the morning and lasted well into the afternoon. In a 2014 interview with the Star-Telegram, Cary credited God for any blessings that came his way and said his mom kept him on the straight-and-narrow path. In 1969, Cary started an assistant history professorship along with a position as the dean of student affairs at UTA. Within two weeks, he started fighting what he called the racist symbols that were prevalent on campus. At the time, UTA’s mascot was a Rebel soldier and Confederate flags flew around the university. changed the mascot from the Rebel to the Mavericks,” Sanders said. 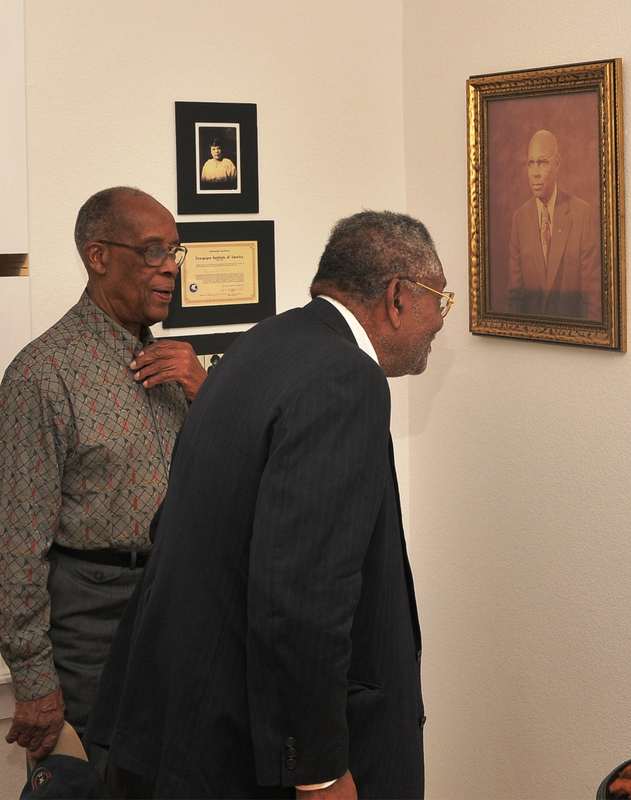 In 1974, Cary was the first black man elected to the Fort Worth School Board. 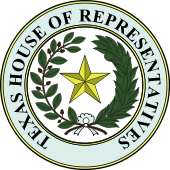 He also held leadership positions in the Frederick Douglass Republicans of Tarrant County and Texas Council of Black Republicans. He also founded the Frederick Douglass Republicans of Tarrant County group in 1985. Sanders said Cary wrote over 20 books on one of his greatest passions: the history and legacy of black men and women in Fort Worth. 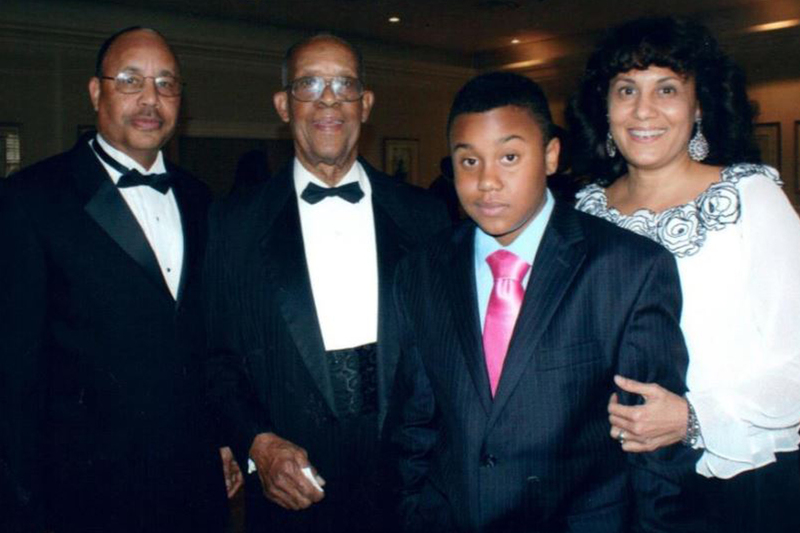 Devoyd Jennings, president and CEO of the Fort Worth Metropolitan Black Chamber of Commerce, said Cary treated him like a son. 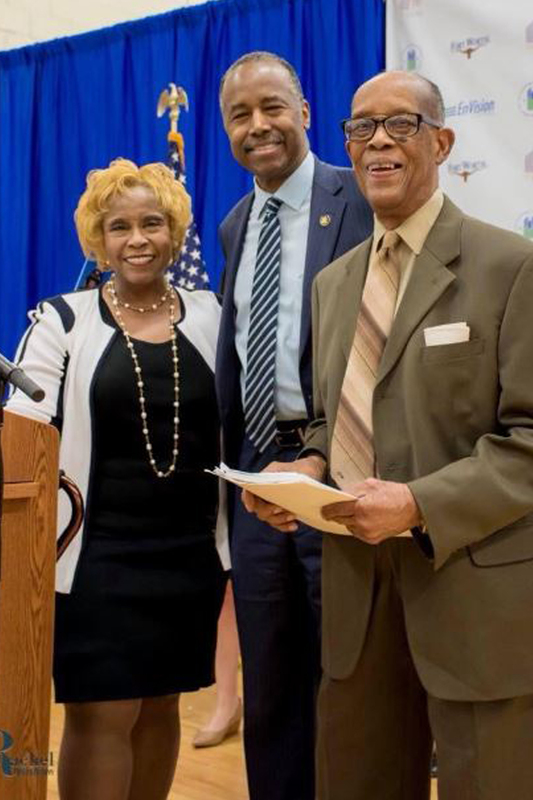 Jennings said Cary was a true trailblazer in politics and economics, and he always supported the Black Chamber of Commerce. “He always supported the chamber’s initiative — if we become strong business leaders, we can become strong leaders in other disciplines,” Jennings said. 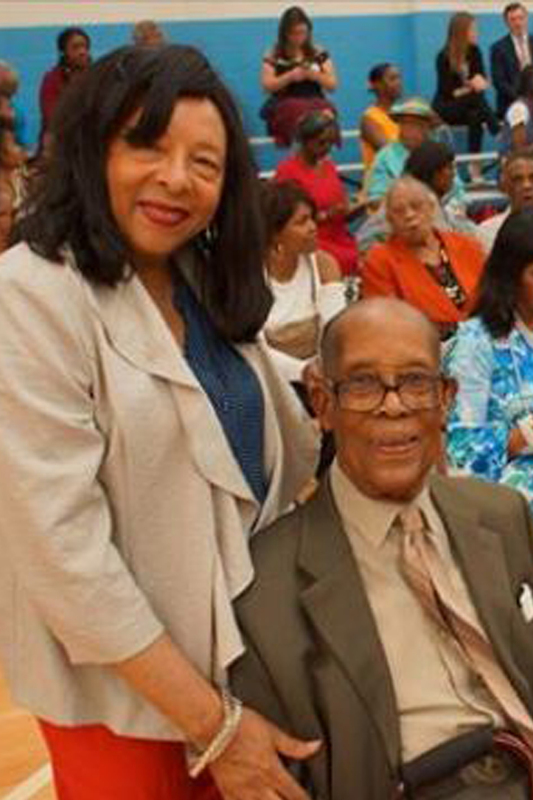 Former Fort Worth City Councilman Bert Williams said he has been friends with Cary since the 1960s. Cary was active in his church and countless organizations until he became sick around Thanksgiving this year, Sanders said. 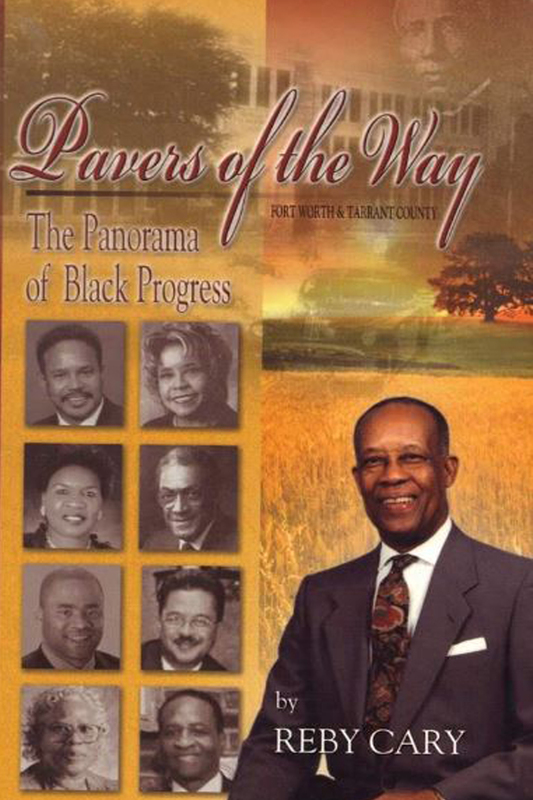 Cary held positions in various organizations such as Alpha Phi Alpha Fraternity, Youth Services Bureau of Tarrant County, Fort Worth Minority Leaders and Citizens’ Council, Boy Scouts of America, United Way of Tarrant County, Fort Worth Metropolitan Black Chamber of Commerce, Tax Appraisal Review Board of Tarrant County, and the Fort Worth Transportation Authority. 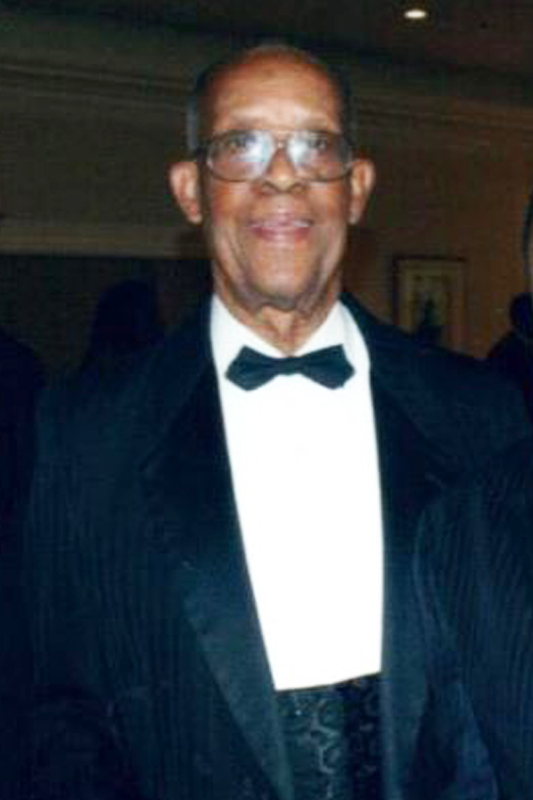 Cary credits God for any blessings that have come his way during his nearly centurylong walk, which took him through I.M. Terrell High School, Prairie View A&M University, the U.S. Coast Guard for five campaigns during World War II, a professorship at the University of Texas at Arlington and multiple battles against discriminatory practices here in America. 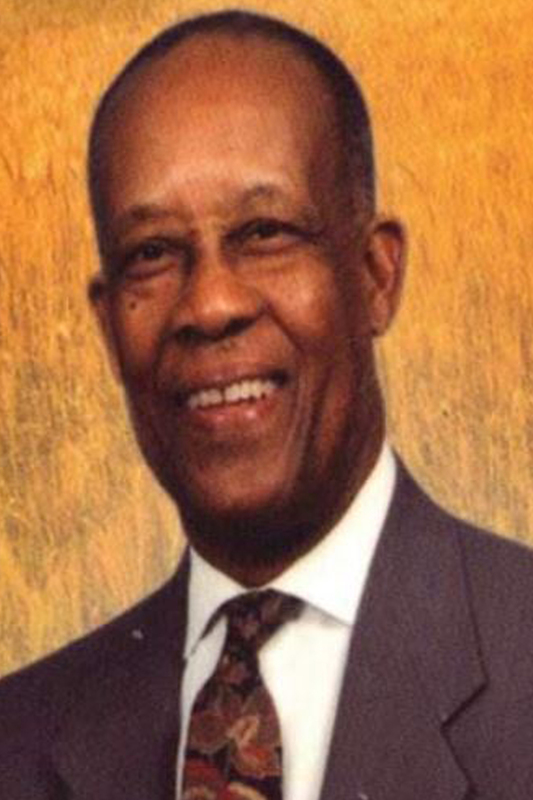 He was also the first African-American elected to the Fort Worth school board in 1974 and was elected to the state House of Representatives in 1979. He said much of the credit for his success should go to his mother, who kept him — forced him — to stay on the straight and narrow path. Cary grew up during the Depression and said he made money mowing yards for 10 cents. “All those hard times and stuff, I never missed a meal,” Cary said. Jennings said Cary’s life can be seen in some of the lyrics to the song God Bless The Child. But God bless the child that’s got his own, that’s got his own. Cary said he has not finished his battles against discrimination, which have been a part of his family’s legacy. 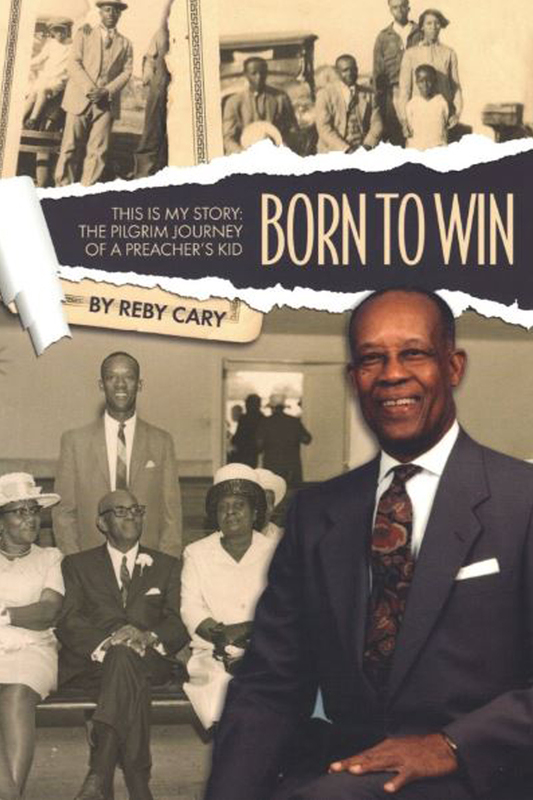 Cary said his father, Smith Cary, established Rising Star Baptist Church in an old gambling shack at Irma and New Orleans streets in Fort Worth. Cary grew up in the church, listening to sermons and services that started in the morning and lasted well into the afternoon. “Whiskey bottles had to be removed so that the word of God could find nurture,” Smith Cary said in a Star-Telegram interview before his death in 1969. In 1949, the city purchased the church to build Interstate 35W and link North Texas to Oklahoma. 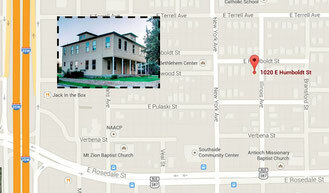 Under Smith Cary’s direction, the church moved to the Morningside area at Evans and Morphy streets, which did not set well with some residents in the area.It was a white area then. Smith Cary encouraged church members to boycott a grocery store whose owner worked to keep African-Americans out of the area. The church received bomb threats. But tensions subsided. Later, whites began to move away from the Morningside neighborhoods as blacks moved in. The experience would serve as a template for Cary’s crusade against racism. Cary, author of 18 books, said he almost always starts off his manuscripts talking about millionaire African-American banker Bill “Gooseneck” McDonald, a former Republican Party chairman and national delegate. He said a speech landed him at job at UTA, which led to him igniting a crusade against racism and the man who had been his boss for all of two weeks. Cary was working at Tarrant County College in 1969 — making about $8,000 annually — when he made a speech at UTA. Cary said his speech was about black Arlington residents who were forced to live in segregated housing in that city. The speech included a dig at African-American UTA students with sub-par GPAs, who marched to protest UTA’s then-Confederate symbolism instead of studying to raise their grade averages. he got a call asking him to consider an assistant history professorship along with a position as the dean of student affairs at UTA. Two weeks after accepting those positions, which paid $15,000 annually, he called his employer and told him to get rid of all the Confederate flags — UTA’s mascot was Johnny Reb — on the campus. While he was at it, Cary said he told his boss that needed to eliminate all the other symbols of the Confederacy on campus. Another job allowed Cary to make the demands. “In the evening I was selling real estate and I made more money selling real estate than I did teaching,” Cary said. Cary’s effort was joined by others and in the early 1970s UTA changed the name of its mascot to Mavericks and removed the symbols of the Confederacy from the campus. In 1942, when Cary got the paperwork about to draft him into the U.S. Army, he said he ran to join the U.S. Coast Guard. He had heard stories from Mississippi and Alabama about discrimination in the Army ranks. The Coast Guard was accepting African-Americans as apprentice seaman, not cooks and cleaners, Cary said. Cary said he was in the first group of 13 Coast Guard trainees from Tarrant County. While he initially believed that he would stay stateside, Cary learned that during wartime the Coast Guard becomes part of the Navy. The men who fought from the USS Cambria, to which Cary was assigned, saw extensive combat in the Pacific theater during World War II. The sailors had daily prayer meetings that were sparsely attended, Cary said. But as time passed, the meetings filled. By the time they left Okinawa, the meetings were standing room only, Cary said.